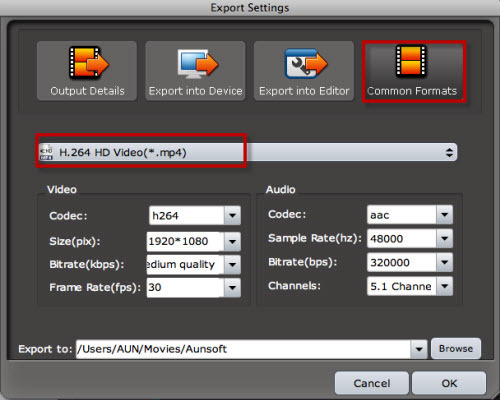 For many HD camcorder users, how to share and play high definition recordings such as AVCHD, TOD and MOD files is a tricky one on Mac OS X. New product developed by Aunsoft Studio in May is specifically designed for HD camcorders to better handle MTS, M2TS, MOD, TOD high definition video formats. The guide will show you how to convert and downscale HD video footage AVCHD/TOD/MOD files to YouTube supported format with reasonable file size on Mac computer with featured product Aunsoft Final Mate for Mac. 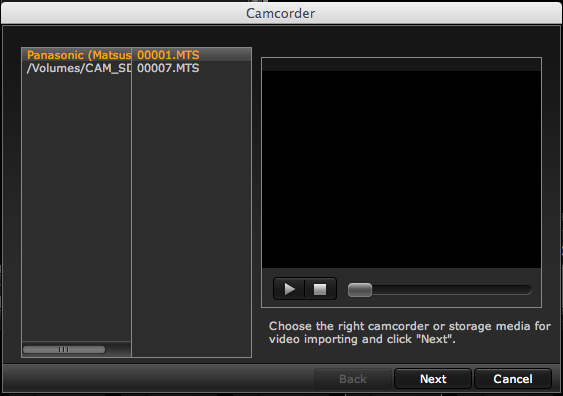 You can import video clips from camcorder when your camcorder is connected to computer. Launch Final Mate for Mac from Application folder and camcorder wizard will be opened to help import AVCHD, TOD or MOD video footage to Final Mate for Mac. Imported videos will show on Camcorder Tab of the program. Or you can directly import video clips from computer to Final Mate for Mac. 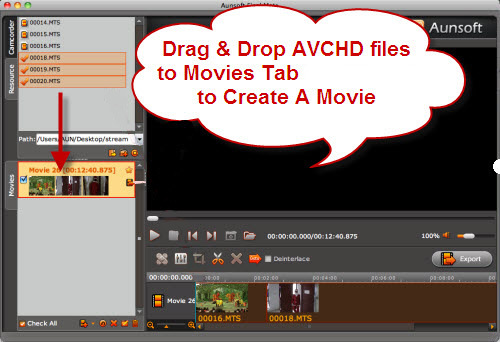 Click on button to browse video path and all AVCHD, TOD, MOD clips will show on Resource Tab of Final Mate for Mac. 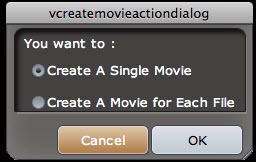 Please choose “Create A Single Movie” to merge all video footage to one movie. Once all the video clips of MTS, M2TS, MOD, TOD into one movie, you are able to split & cut scenes on Timeline. Just move the Vernier to the time point or position you want to split the movie and click button. Then click to select unwanted part and delete with button. .
Click on Export button and go to “Common Formats”. You can choose HD MP4, HD MOV from “HD Video” catalog for supported YouTube format if you want to retain better video quality and downscale original movie to smaller size at the same time. Once the conversion process is complete, you can access output YouTube HD MP4 video by clicking on “Browser for Export Path”. With Final Mate for Mac, you can easily handle camcorder footage AVCHD, TOD or MOD files for easy sharing on YouTube with friends and family.